Google Stadia is a new big thing for game localization. Or not. In 2017, tltGames approached us with a question: “In which market would an RPG game about surviving a post-apocalyptic USSR be popular?” We realized we didn’t have a good answer. 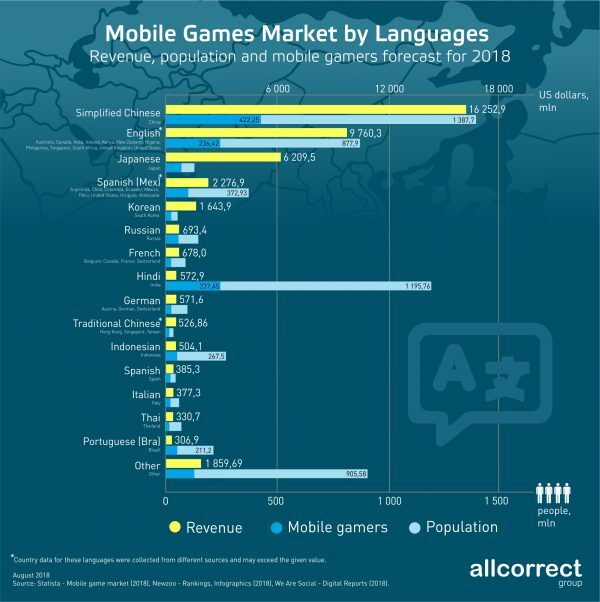 This year, we've been thoroughly analyzing the mobile games markets across different countries. The aim of this project is for us to be able to provide the game developers with a recommendation as to which languages they should choose for localization. These are some very frequent questions among indie and startup companies: "What language should we localize our games into? What new markets should we be entering?" That is why we tried to give some advice on which countries' markets are "easy" or "difficult" with respect to these issues.